Katherine Crawford Moore, age 90 of Forest City, died, November 29, 2018, at her home. 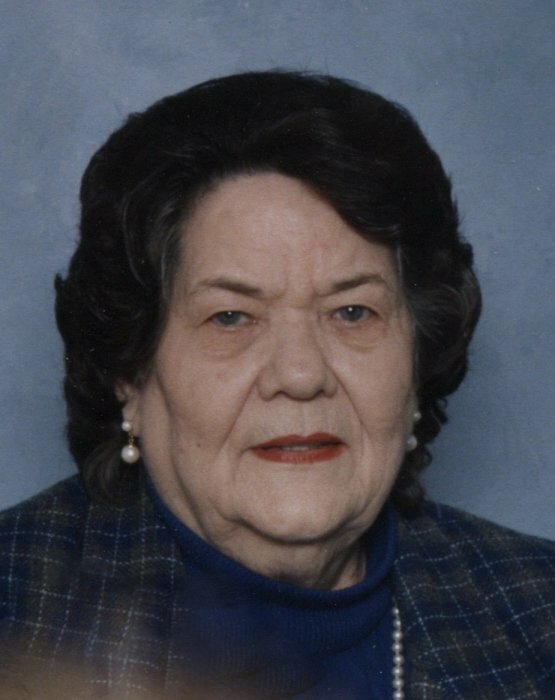 A native of Rutherford County, she was a daughter of the late Lawrence Roland Crawford and Cora Jean Sparks Crawford; she was a beloved school teacher with the Rutherford County School system for over 30 years and former Sunday School teacher with the First Baptist Church of Forest City. Katherine was preceded in death by her husband, James B. Moore, a daughter, Princa Moore, and granddaughter, Peggy Friddle. Left to cherish her memory are son, James Moore of Forest City, a daughter, Mary K. Patterson and her husband Ron of Forest City, a sister, Shirley Thomas of Spruce Pine, three grandchildren, Michael Moore of Anderson, SC, Brent Womack of Rutherfordton, Barbara Showers of OH, and four great grandchildren, Brenton Womack, Jamie Womack, Brandon Waddill, and Glenn Friddle. Memorial services will be held at 2PM, in the First Baptist Church of Forest City, Wednesday, December 12, 2018, with the Reverend Dr. Garin Hill and Reverend Gary Coffee officiating. Visitation will be from 1 until 2 in the sanctuary. Memorials may be made to the American Cancer Society, P.O. Box 22478, Oklahoma City, OK 73123.